Earlier this fall semester, I ventured to test out the Makerspace’s 3D printer by reproducing a 3D version of Kepler’s platonic solid model. This model was a historical object that I desired to examine in physical form while taking a class on the Scientific Revolution. I desired to study the artifact in such a way so that I would be able to hold the object in my hands and examine it from any perspective, rather than observe only a part of the object in an image, from one perspective. While I had this desire, I didn’t think that I would ever gain the opportunity to study the model in physical form. Everything changed when I became acquainted with both the online 3D printing community and the Makerspace’s 3D printer. The online community enabled me to download the model’s 3D version that a maker had already digitized, and the printer liberated me to output a 3D physical artifact from the 3D digital model. 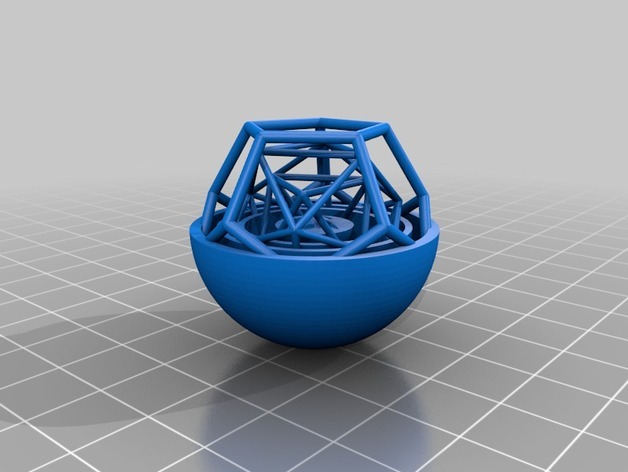 As I downloaded and printed Kepler’s platonic solid model, I began to question whether the replicated versions of objects preserved any of the qualities inherent to the original model. 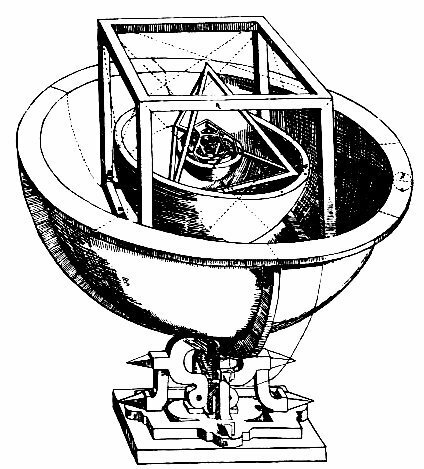 My main question, as I downloaded and printed Kepler’s platonic solid model, was concerning the extent to which the printed model was genuine, and authentic, in comparison to the original image. I questioned whether the 3D printed versions preserved the historical work’s inherent quality or rather carried different qualities. I asked this question as (1) I contemplated how Kepler, in the time period he lived in, would never have been able to use digital technologies to design such a model in order to understand the universe’s nature, and (2) I worked to use the right types of supports and overhangs to print the model effectively. Encountering other applications of 3D printing technologies since asking this question, however, I have come to realize that rather than minimizing the extent to which a historical work’s quality is preserved, 3D printing expands the qualities inherent to the past, opening up the past to more people in new ways. The application of 3D printing technology that I recently encountered was an example in which 3D technologies were used to help blind people see, or experience art through tactile means. After feeling inspired by this application of 3D printing technology, I challenged myself to extend my thoughts beyond how much a 3D print preserves a historical piece of work, like Kepler’s platonic solid model, which he drew out as an image, and rather consider the experience that people can gain from exploring something as tactile as a 3D print. By doing so, I returned to the initial reason for my desiring to print the model – my hoping to touch the object and examine how it fit into the 16th-17th century from a physical perspective – and decided that I think that 3D printing enhances the qualities inherent to historical works. I’m curious though, what has your experience been with 3D printing historical artifacts? Cite this post: margaret-furr. “3D Printing Historical Artifacts: Enhancing the Qualities Inherent to the Past”. Published November 17, 2015. https://scholarslab.lib.virginia.edu/blog/3d-printing-historical-objects-enhancing-the-qualities-inherent-to-the-past/. Accessed on .